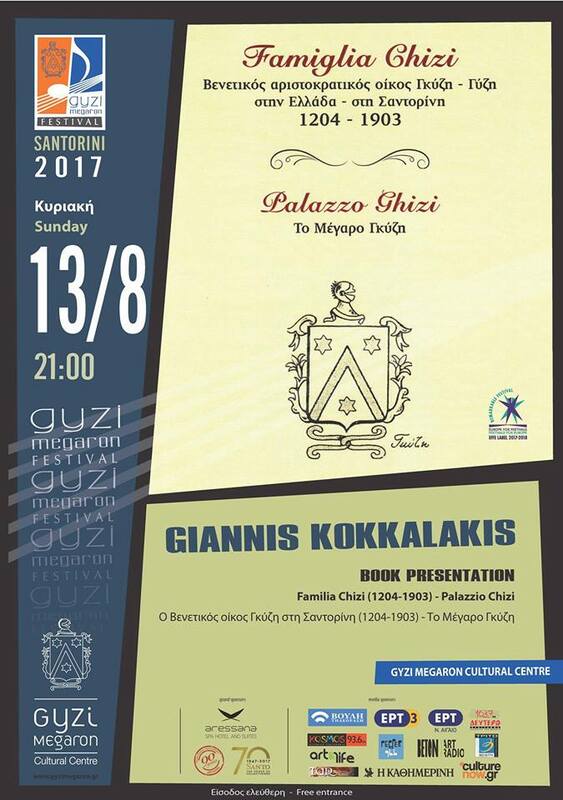 You can discover the interesting history of the Gyzi Mansion through the presentation of the book “The Venetian House of Gyzi in Santorini (1204-1903) – The Gyzi Mansion”, by researcher Giannis Kokkalakis. The presentation is held where else? At the Gyzi Mansion in Fira, at 21.00. Free entrance.